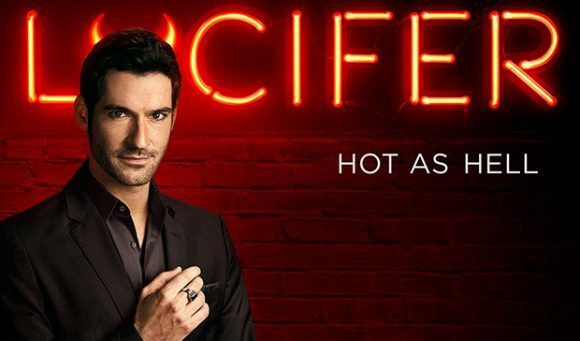 TV One’s run of soulless US dramas will continue with Lucifer’s premiere on June 20. Starring Rush’s Tom Ellis, it will succeed Castle in the 9.30 Monday slot and is another lighthearted, odd-couple crime procedural with an absurd premise: the Devil shifts to LA and helps a female detective to solve murders. “A light dusting of Milton notwithstanding, its pitch is mainstream and middlebrow,” the Los Angeles Times said. TV Guide thought it “just too damnably familiar” while USA Today said it turns “the metaphorical satanic source of all evil, into a roguish, playful, crime-solving demon”. 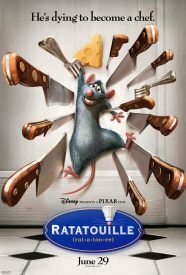 HD movies screening free-to-air in the week starting June 18 include: Ratatouille (TV2, 4.50 Saturday), Cloudy With a Chance of Meatballs 2 (TV2, 7.00 Saturday), Meet the Fockers (TV3, 7.00 Saturday), Conan the Barbarian (TV2, 8.50 Saturday), This Is 40 (TV3, 9.20 Saturday), After Earth (TV2, 8.45 Sunday), Crank: High Voltage (TV3, 10.35 Sunday), House at the End of the Street (TV2, 10.40 Sunday), Evil Dead (TV2, 12.35am Monday), Identity Thief (TV3, 8.30 Monday) and Bachelorette (Prime, 9.30 Friday). While TV One squanders primetime with “the most obnoxious show of the new year”, fans of American Crime are no closer to season two screening on the network. But hopefully it will succeed the network’s season one re-runs, which will air in double-eps 11.00 Fridays from June 24. TV One will premiere Secret Life of 5 Year Olds on June 21. The Telegraph called the two-part special “revelatory” and a “fly-on-the-wall triumph [that] makes childhood politics look exhaustingly Darwinian”. But The Arts Desk argued The Secret Life of 5 Year Olds isn’t a startlingly new concept. The Independent warned nervous flier not to watch Prime’s Terror in the Skies, another Channel 4 series that will air 9.30 Mondays from June 20. It challenged presenter Professor Brendan Walker’s assertion that planes crashes provide “a window on what’s really going on” in aviation. “If that’s true, it’s a very odd window, one that obscures the thousands of flights that arrive safely and lets you see only those on which something goes awry. “The programme itself sets about to systematically withdraw any sense of security you might have about flight. Brand new planes? Untested in real-world conditions. Old, well-established planes? Prone to sudden unpredictable failure. Come on TVONE, give American Crime the 9.30 Sunday slot with a strong lead-in.